Welcome to part 3 of Disney Vacation Club Explained! If you missed part 1 click here! Still need to read part 2? Click here. 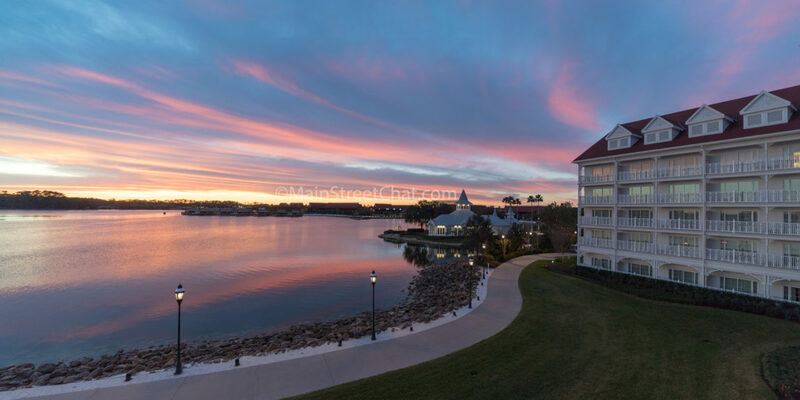 Thanks for coming back to check out the last installment in the Disney Vacation Club series. How to book a room using your Disney Vacation Club points. Once you have purchased a Disney Vacation Club Contract you will either be able to immediately book your future vacations (buying Direct) or you will have to wait between 14 to 30 days to be assigned a Disney Vacation Club Membership Number (buying resale). When you buy resale this is one of the worst parts. Waiting to get you account number feels like an eternity! All you want to do is book your next vacation! After you receive your Disney Vacation Club member number you can create an online account at disneyvacationclub.com. In the event that you are unable to book online, contacting Membership Services at 1-800-800-9800 is the next best option. DisneyVacationClub.com is really easy to use to book your vacations, borrow points and stay on top of everything that’s taking place within Disney Vacation Club. Can I Use My Disney Vacation Club Points for anything besides staying at Disney Vacation Club Resorts? Yes you can. You can use your points to book Disney Cruise Line (this only applies to direct), Stay at RCI properties (timeshares) that is partnered with Disney Vacation Club and stay at other Disney Resorts that are not a part of Disney Vacation Club. We don’t want to go into these options too much as we feel it is a very poor use of points. The redemption’s are usually very high for little return. Often times people think of their points as being free, or at the very least, as something they aren’t actively paying for. Do not do this!!! Points have a cash value. You should keep track of how much people are willing to pay for your points. Right now the going rate is $16-17 per point at popular DVC resorts. If you have a 100 point contract that’s $1700 dollars right there to book a Disney Cruise Line Vacation. Should I buy Resale or Direct with Disney? There is no right or wrong answer to this question. If you buy directly through Disney you receive benefits, Membership Magic, which is not available to resale Disney Vacation Club Members. A few benefits include using points to book Disney Cruises (that are exclusive to Disney Vacation Club members), having access to the Epcot DVC lounge and going to Moonlight Magic parties. If you highly value these perks than buying Disney Vacation Club directly through Disney is the best option. It’s important to know that nothing is guaranteed when you are a Disney Vacation Club member besides having a place to stay. Right now you have access to all of these extras when buying Direct but that can change at the drop of a dime. For example, there have been rumors circulating that the Epcot DVC lounge may be going away. Since Disney is paying for the perks to Direct buyers out of pocket, if the economy were to fall or they need to reallocate money for whatever reason, it could come from their Membership Magic budget. All other perks that are given to all members are being paid for by Disney Vacation Club Members through maintenance dues. These items can go away but then Maintenance dues may have to drop as well. Currently this includes DVD rentals, top of the world lounge access and pool hopping. When we consider that the extra benefits may or may not be available in the future, combined with the savings available when buying resale, we totally went the resale route. We saved $17000 dollars with zero effort on our part. We paid 135 dollars a point at the Polynesian Resort while Disney was asking $220. That’s enough money saved for us to go to the Halloween party for 70 years. With Kaitlyn paying for an adult ticket the whole time. We could practically renew our wedding vows with how much money we are saving. WE would have to come up with 3 to 5000 dollars, but you catch my drift. You can do a lot of things with $17,000. How can I Benefit from Disney Vacation Club Without Being a Member? Occasionally Disney Vacation Club Members will have unused points that they need to use before they expire. Rather than letting the points go to waste, many Members will choose to rent out their points. You can find these owners on many of the Disney Forums on the internet. Renting Disney Vacation Club points to book your vacation is a great way to save large amounts of money on your vacation. You are still staying at a Deluxe Resort but giving up things like daily house keeping to make your trip more affordable. This was something we did for well over a year before we decided to buy a Disney Vacation Club contract. In general, we think that renting points before buying is a good idea. Make sure that you are okay not having Daily Housekeeping. It might seem like a strange idea to do this but I can tell you hands down sometimes I hate having to make the beds in the morning while we are rushing out the door. Or vacuuming the carpets when I’m on vacation. I go on Vacation not to feel like a housewife and relax a little bit and sometimes I flat out don’t want to clean. (I do it anyway because it saves me a lot of money, but some people might really hate it). If you really cant live without housekeeping, you can add it on to your stay for an additional $30 a day. Or you can add a few extra cleaning days if you don’t like going four days without clean linen and towels. Where Can I Go to Rent Disney Vacation Club points? You have two options, you can rent private, person to person, or trough a Disney Vacation Club travel broker. We personally have always done person to person rental agreements. It is more flexible with how much you will be paying per point, how much money is due for a deposit and when the final payment will be due. If you do decide to rent from someone privately there are a few things we recommend doing. For starters make sure the person has a long renting history. You want to make sure that no past renters have had any issues. Always make sure that there is a signed contract and read it CAREFULLY! Even though the contract is designed to protect the DVC owner it always spells out exactly what you, the renter, are paying for. It will state the days of your vacation, which resort, and how many points you are renting. It will also state how long you have to cancel the reservation and if you will get your deposit back. Under Florida State law you must sign a contract. Never offer or agree to pay via check or money order. We will never rent from someone who doesn’t take PayPal payments. While PayPal does say that they do not refund rental fraud we’ve seen cases where they have helped the consumer in the past. Make sure to confirm on MyDisneyExperience that your reservation number is valid before paying. Check the reservation multiple times before your vacation to make sure that nothing has gone wrong with your plans. If you are not comfortable renting privately going through a Disney Vacation Club broker is also a great option. Two of the more popular websites to do this are David’s Vacation Club Rentals and DVCrentalstore.com. We recommend going to take a look at their websites. While this is also slightly more expensive than renting privately there is still a lot of money to be saved. We hoped we answered some of your question about Disney Vacation Club. If you have any questions we will be glad to answer them. Thanks for reading! Subscribe Here, Get a Free Sticker!